If you need a garage door replacement that’s both aesthetically pleasing and functional, it’s time to call 31-W Insulation. We’re home improvement experts serving Myrtle Beach, South Carolina, and surrounding communities, and we take pride in installing garage door replacements of exceptional quality from the leading manufacturer Amarr®. Built from a long-lasting steel material, any garage door that you purchase from is sure to operate at its best for many years to come. We’re sure that you’ll also love the new garage door your purchase for your Myrtle Beach, SC, area home because you’ll have the opportunity to completely customize your door. Many unique options will be available to you, including three beautiful styles (traditional, carriage, and specialty), more than 20 fantastic color choices, gorgeous wood grain finishes, different window shape options, and decorative hardware options. 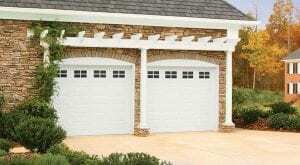 Once your garage door has been manufactured, our factory-trained professionals will install it flawlessly. Your garage door will also be protected by a fantastic manufacturer warranty, so you can heave peace of mind that your new investment in your home is safe. To schedule a free consultation at your home in or around Myrtle Beach, SC, and learn more about our garage door replacement services, contact 31-W Insulation today.